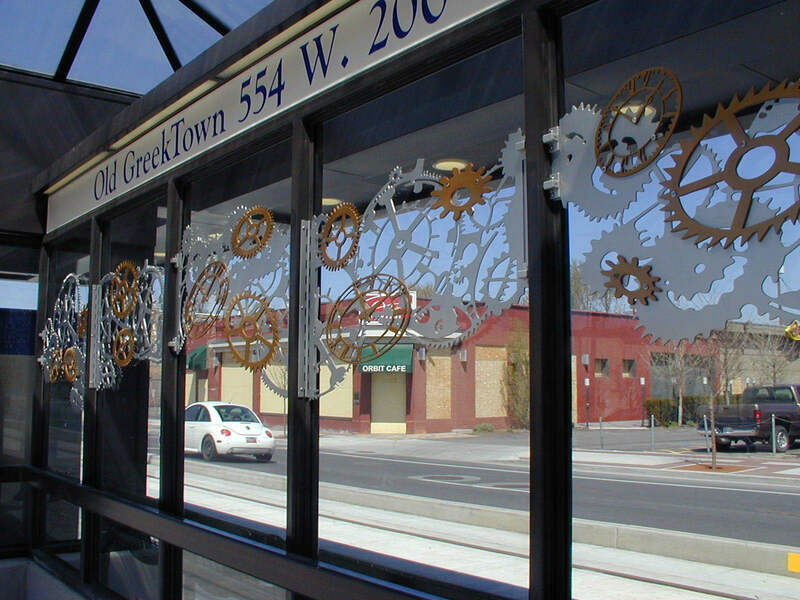 Old Greek Town TRAX Station given its name, in part, to recognize the Greek immigrants, the largest population of people who lived and worked in the neighborhood for years. 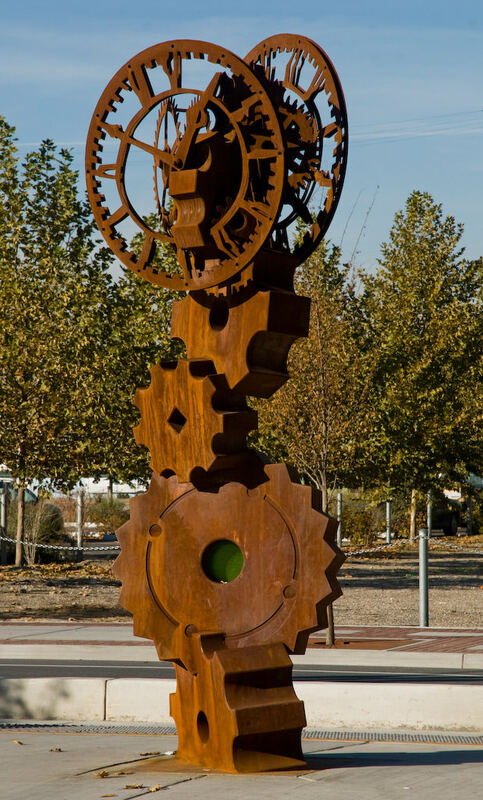 The underlying design used by the artist is based on machine gears; serving as symbols of progress and relating to the industrial and railroad history of this area. 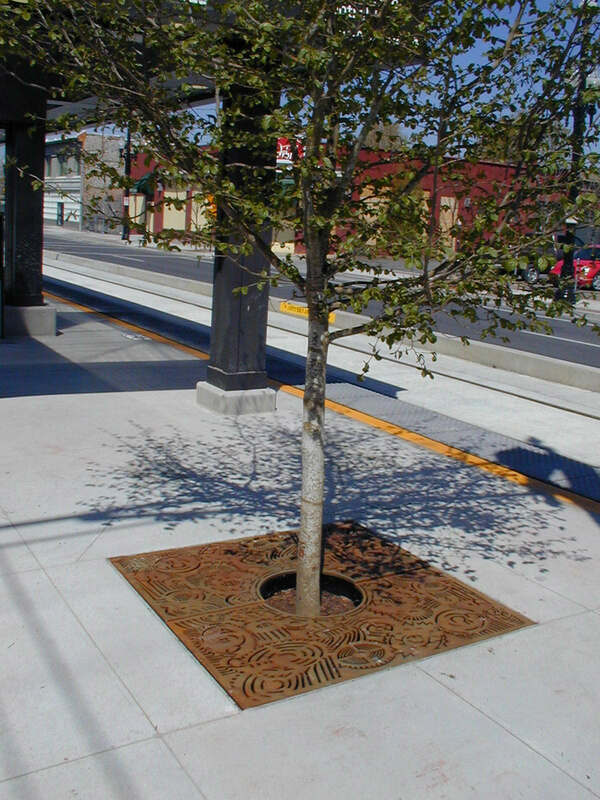 Konopasek designed the tree grates, a painted metal element running across the upper portion of the glass windscreens and a freestanding sculpture, all tied together by this image of gears. In a broader sense, Konopasek extends the concept of the gears to represent how the universe is made from small individual parts that work together in unison. The work is fabricated metal, some of it deliberately rusted to lend a sense of time past, some of it painted for a more contemporary look toward the future.